How Would You Spend $70 Million? 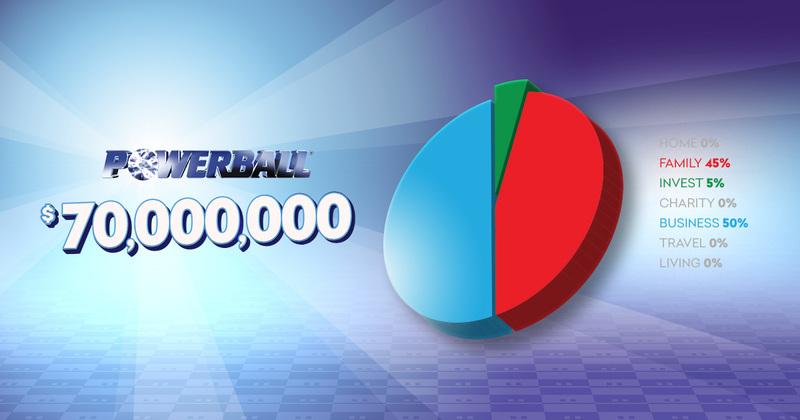 The new year is barely a week old and the Powerball jackpot is already sky high! 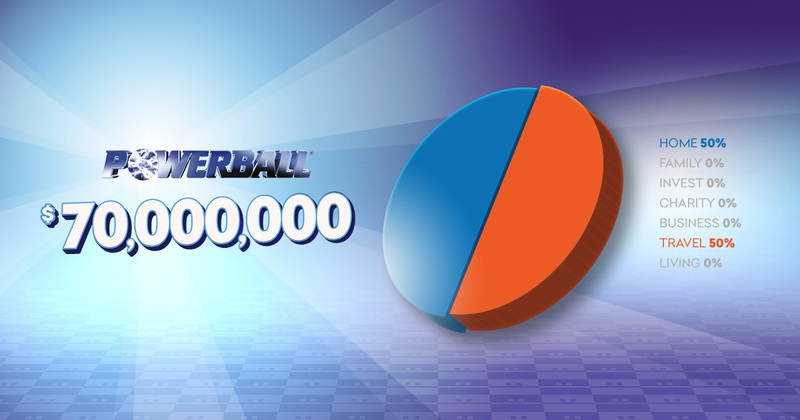 If you’re feeling those post-holiday blues, wishing you were somewhere else, or simply just want to make 2016 the best year of your life, make sure you get your ticket in the upcoming $70 Million Powerball draw. Only you have the power to change it all! Needless to say, $70,000,000 is a life-changing sum. We want to know how you would divvy up the prize money if you won. 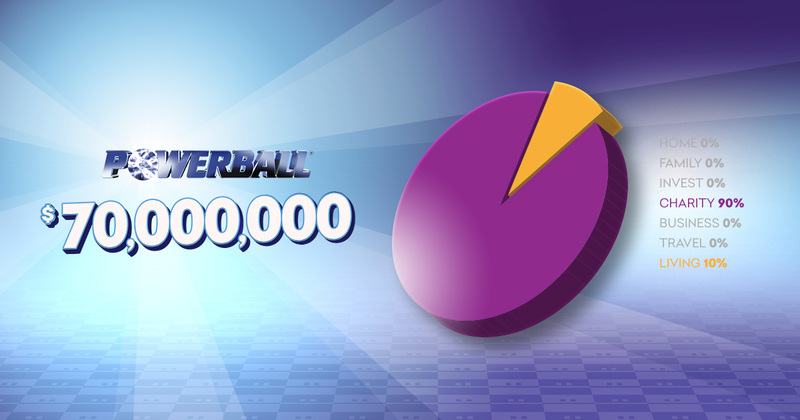 If you had to divide $70,000,000 into the following categories, how would your pie chart appear? Would you give 90% to charity and keep 10% to just keep living? How about 5% to investments, 45% percent to family, and 50% to your business? You could put 50% to your home and 50% to travel. The combinations are endless but one thing is for sure – your life would never be the same! Give money to our family. I would have helped patients and donated 90% of the poor …. need help. I would Cry…..non stop…..because…after all…it would just be a Dream….. but a Dream Most Wish it was real.